The New River flows north from Mexico near Cerro Prieto, through the city of Mexicali and into the United States through the city of Calexico, California, towards the Salton Sea. The river channel was created when the Salton Sea formed in 1905 after the Colorado River broke through a series of dikes and extensive flooding occurred in the Salton Sink. The New River’s flows are mostly ag runoff and municipal and industrial discharges. Efforts now focus on cleaning up the pollution. The river is so foul that rumors swirl about two-headed turtles and three-eyed fish. If you fall in, locals joke, you might sprout a third arm. So go the stories about the New River, whose putrid green water runs like a primordial stew from Mexico’s sprawling city of Mexicali through California’s Imperial Valley. California’s little-known New River has been called one of North America’s most polluted. A closer look reveals the New River is full of ironic twists: its pollution has long defied cleanup, yet even in its degraded condition, the river is important to the border economies of Mexicali and the Imperial Valley and a lifeline that helps sustain the fragile Salton Sea ecosystem. Now, after decades of inertia on its pollution problems, the New River has emerged as an important test of binational cooperation on border water issues. 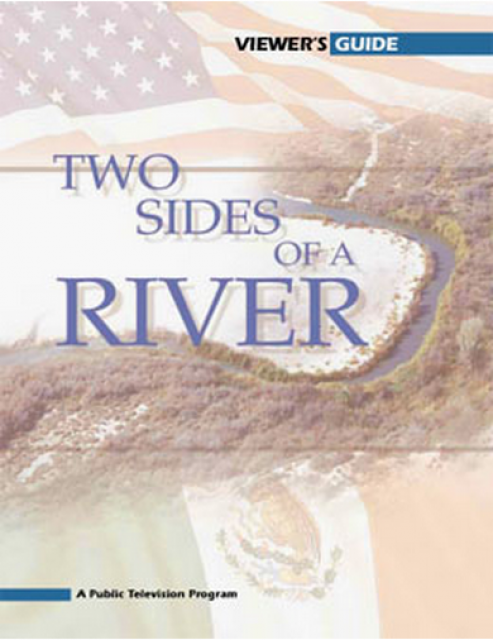 These issues were profiled in the 2004 PBS documentary Two Sides of a River.